If you would like to find out how much the qualified end of tenancy service will cost, contact our 24/7 client care. You are able to do that by simply dialling 020 3404 0500 or by using the online contact page form. Excellent Carpet Cleaning is a specialized post tenancy cleaning company which has efficiently provided the people and companies of Grove Park W4 ever since 2004. Over the years, we have dedicated in delivering experienced move in and out cleaning services for all local residents. This unique service is useful for: tenants, companies, landlords as well as for people who are buying or selling a property - private or commercial. 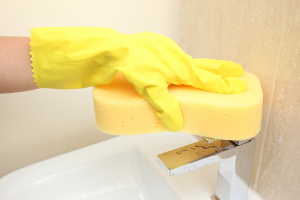 We have developed a complete end of tenancy cleaning register which is strictly followed by our cleaners. This register has been accepted by a wide variety of local landlords, property managers and estate companies as what they truly hope from the cleaning at the finish of your tenancy contract, in order that they usually do not withhold part or all of your rent deposit for additional cleaning fees. We have hand-picked every one of our cleaners, background checked out them for police information and have qualified them to use all of our modern qualified cleaning products, resources and Prochem certified solutions. All our end of tenancy cleaning clients get a 48 hr assure, so if there is a problem, we will come back and clean the house again free of charge! Remember to book the tenancy cleaning service when you are relocating - we will assure that your landlord will be happy with the results! Our staff of specialists will arrive at your property or home with the comprehensive cleaning register of all objects and areas which your property or home manager will be checking just before giving their bond back. This service has no time frame, and the team of skilled cleaners will stay and clean until finally all items are tested as finished. The 48 hour satisfaction assure we provide means that if you or your landlord aren't happy with our job, we will revisit and clean up once again totally free! The 24/7 customer care service is right here to take your phone calls at 020 3404 0500 or your online reservation requests from here. You will get composed affirmation within the following 2 hrs. The costs are fixed, so we will not request for any hidden charges at the final of the service. If you are not happy with the outcomes within forthy eight hours, we will return and re-clean your property or home free of charge! By booking a lot more than 1 of our services at a time, you will receive big cost special discounts. We are available for same day cleaning, along with for any other day of the calendar year. Make certain you take advantage of our assured qualified tenancy cleaning by booking our service now!